Like broccoli, most kids don’t like to eat radishes. 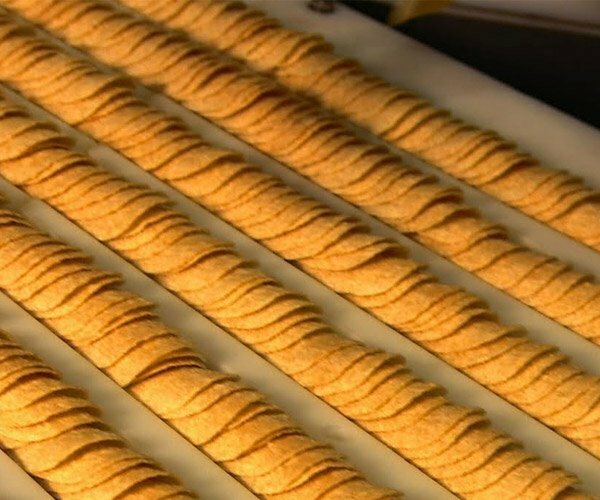 I’m an adult and I still won’t touch them. However, I may have to rethink that because the Ravanello Radish Shaper turns them into little Super Mario mushrooms. This kitchen tool makes it easy to turn a boring radish into a Mario power-up mushroom. 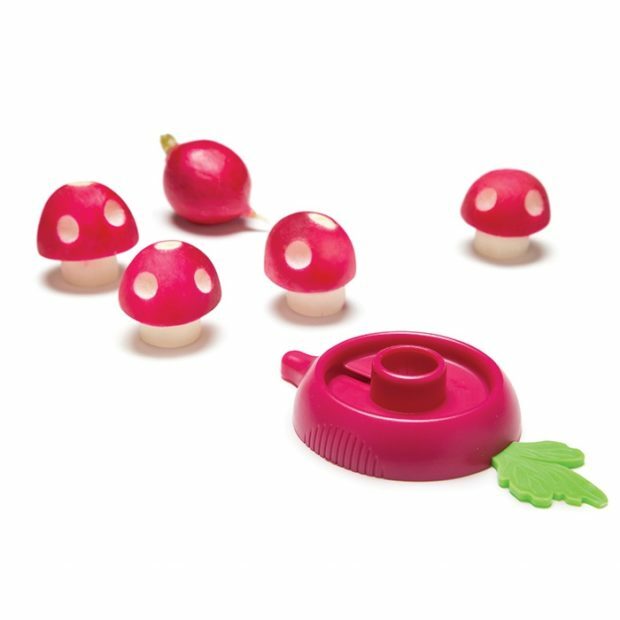 These mushrooms won’t give you superpowers, nor will they actually taste like mushrooms, but they will make mealtime fun. 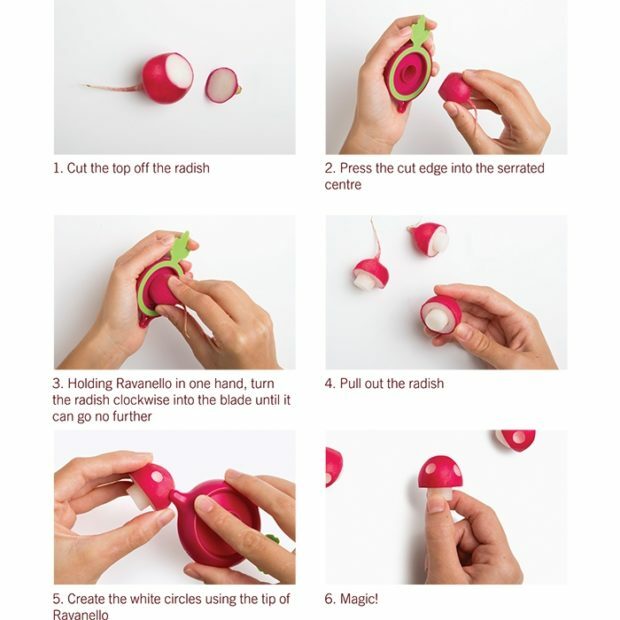 It is easy, but it does take some work as you can see in the image here, but it beats a plain old radish anyday. 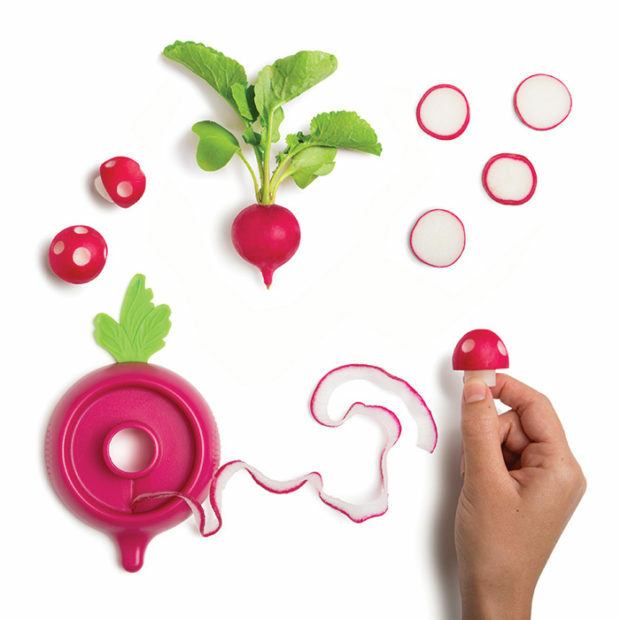 The Ravanello Radish Shaper will cost you about $12(USD). If it gets kids to eat a root vegetable, I guess it is well worth it.